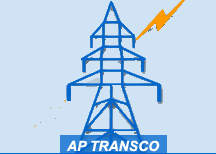 Power Transmission Corporation of Andhra Pradesh (AP Transco) today said it will invest Rs 13,170 crore over the next five years to strengthen its Extra High Voltage Transmission Network and increase power availability in the state. Of the total planned investment of Rs 13,170 crore, Rs 8,521 crore would go into the installation of electrical substations of 132 kV, 220 kV and 400 kV capacity by 2019, AP Transco's Chairman and Managing Director K Vijayanand said while addressing a press conference here to announce the company's financial results for 2015-16. "From 10.6 % (22 million units per day) power deficit in June 2014 (when the state was bifurcated), we are now at zero (deficit) level. "The power utilities are now in a comfortable position to even export power to other deficit states. We are making all efforts to supply power at international standards with almost zero interruptions per consumer," the Transco CMD said. Strengthening of the transmission network is aimed at achieving international standards and also further reduce the transmission losses to around 5 %, he added. "The AP power sector has maintained an overall transmission and distribution loss level of 10.2 per cent in 2015-16, which is the lowest in the country. "Transmission losses in Transco alone were reduced to 3.37 per cent while in the distribution network they were reduced to 7.33 per cent. "Transco and the two power distribution companies are now working out modalities to achieve a loss level of 2.5 and 5.5 per cent respectively in 2016-17 by adopting latest initiatives and global technologies"
For fiscal 2015-16, the company earned a profit after tax of Rs 113 crore as against Rs 95 crore the previous year despite a fall in revenue.